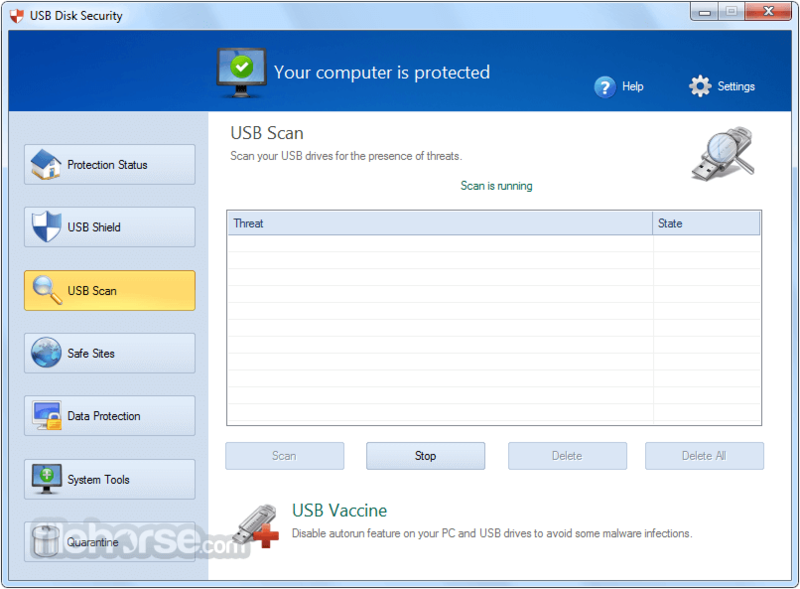 USB storage is a common source of infection with potentially dangerous content, but a lot of antivirus software can not effectively detect the malicious programs from USB drives. 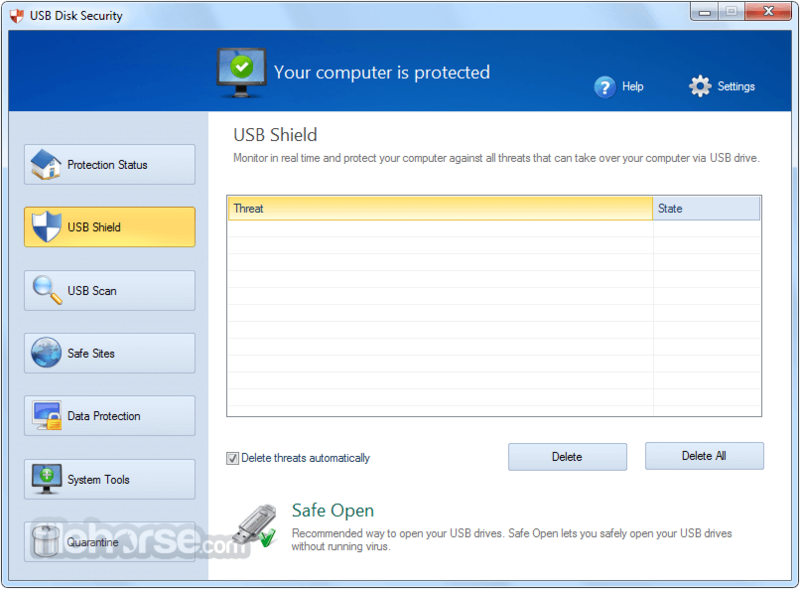 USB Disk Security provides the best protection against any threats when using USB drives. 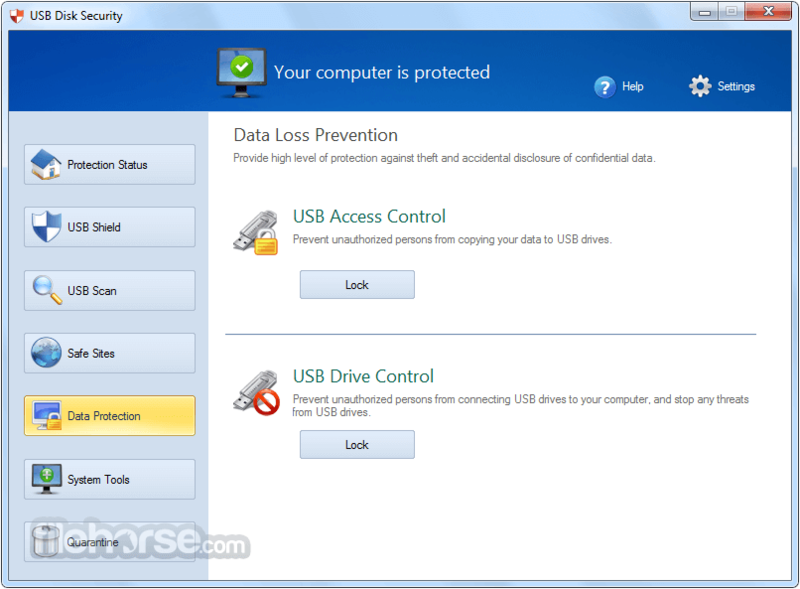 USB Disk Security's main function is to protect your computer from viruses and malware that could enter through a connected USB device. It uses innovative technology to block known and unknown threats via USB drive. It supports USB drive, flash disk, secure digital card, thumb drive, pen drive, removable storage, ipod, and more. With program, it's not necessary to sacrifice speed for detection and scanning. 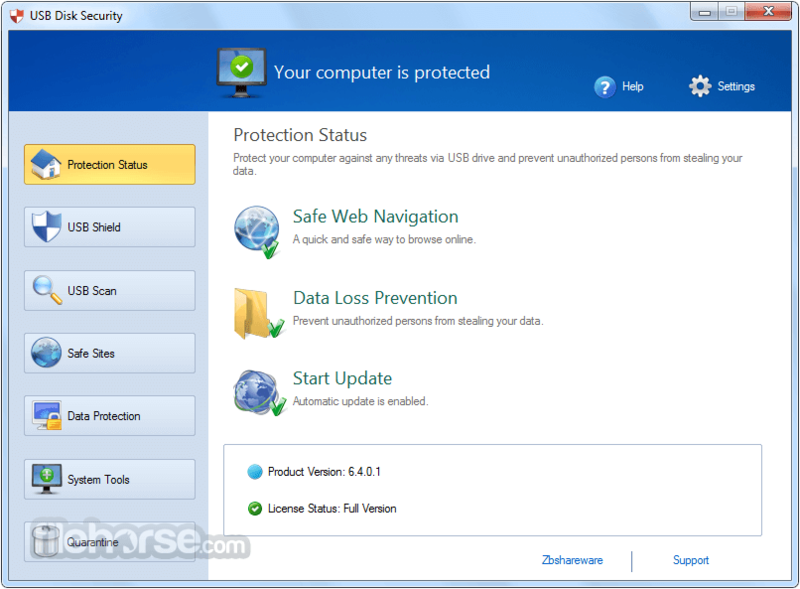 Compare antivirus software and you'll discover that USB Disk Security is by far one of the lightest applications in the industry. 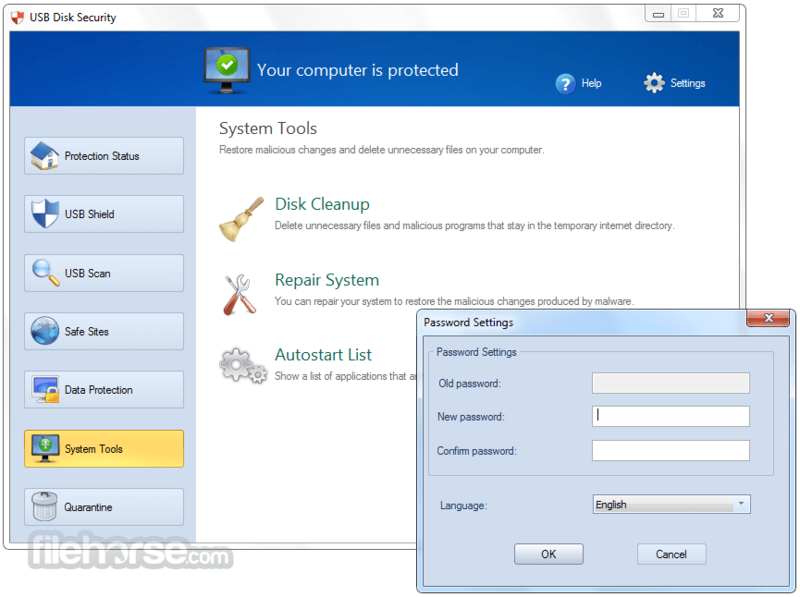 Incompatibility between antivirus programs is an issue; However, It is fully compatible with other security software. Supports Windows 10, 8 and 7, Vista, XP, 2008, 2003. It has been specifically designed to perform effectively regardless of the user's level of computer expertise. Just install and forget it.